Fire on Pacific Islands was relatively infrequent prior to human arrival, limited to active volcanic events and rare dry lightning strikes. People first arrived to the islands between 1,000-4,000 years ago and, as everywhere else in world, brought fire as a land management tool. By the time of European contact, fire-prone vegetation - native grasslands and savannas - was present across most high islands in the region. Subsequent changes in cultural and economic practices and the introduction of nonnative plant and animal species have dramatically altered these islands' landscapes and fire regimes. 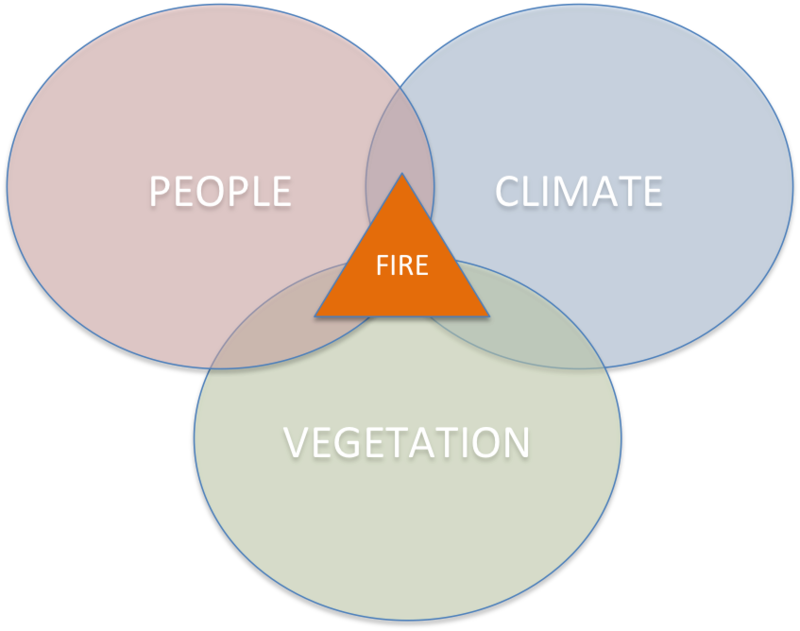 Wildland fire now occurs frequently and extensively across the region, especially in Hawaii, Yap, Palau, Guam, and the Northern Marianas, due largely to human caused ignitions, land use legacies and change, and pronounced dry seasons and strong rain shadow effects. Large extents of fire-prone savannas and grasslands account for 15-25% of total land cover on many high islands.